When the big get too big there is only one entity that can stop them, the government. It seems the US government may think InBev Anheuser-Busch may be getting just a little too big. The U.S. Justice Department is trying to keep Budweiser and Corona apart. Justice is challenging the proposed $20.1 billion buyout of Mexico’s Grupo Modelo, brewer of Corona beer, by Anheuser-Busch InBev, brewer of Budweiser. Anheuser-Busch inBev owns 49% of Grupo Modelo, this deal would give it the rest. The government, though, says the merger would put too many top beer brands in the hands of a single company, limiting competition. The concern is especially high in 26 U.S. cities. The suit has been filed in federal court in Washington D.C.
Investors reacted negatively to the news. Industry consolidation has been rampant in the beer and spirits industry and is viewed as a way for companies to boost profit by cutting costs. Shares of Anheuser-Busch InBev were down $5.58, or almost 6%, to $88.56 Thursday. Budweiser and Corona are among the most dominant beer brands in the country. Bud Light is the best-selling U.S. brew, while Corona Extra is the No. 1 selling import. Shares of Constellation Brands, a top spirits maker with brands like Robert Mondavi, fell $6.77, or 17%, to $32.40. Constellation is the U.S. top beer importer through its distribution joint venture with Grupo Modelo. Constellation stood to benefit from the proposed merger of Grupo Modelo, though, with Anheuser-Busch InBev and potentially suffers if it falls through, says Ken Perkins, analyst at Morningstar. Back in June 2012, when Anheuser-Busch InBev proposed the buyout of Grupo Modelo, it created a deal with Constellation to manage anti-trust concerns, Perkins says. As part of the deal, Anheuser-Busch offered to give Constellation a long-term deal to control the joint venture with Grupo Modelo, replacing the current deal that expires at the end of 2016, Perkins says. That would have given Constellation a long-term deal giving it the rights to distribute Grupo Modelo products in the U.S.
Now, with the Anheuser-Busch buyout of Grupo Modelo in question, investors, too, worry that constellation could lose those distribution rights at the end of 2016. Regulators are apparently worried that even if Constellation has U.S. distribution rights for Grupo Modelo products, it will still be Anheuser-Busch InBev calling the shots when it comes to pricing. 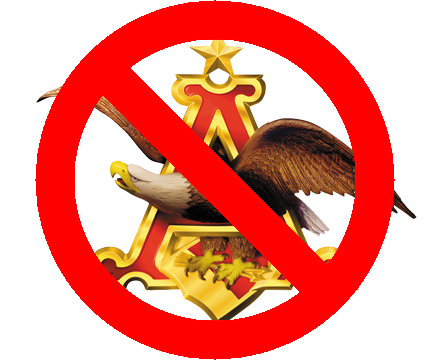 Lacking that competition, Anheuser-Busch would be able to boost beer prices, says Bill Baer, assistant attorney general for the department’s antitrust division. It seems Coors has found a loophole in Anheuser Busch’s $1 billion dollar exclusive rights as the NFL’s official beer sponsor. According to AdAge, MillerCoors bought up ad time in the Great Lakes and Southeast regions to tout its answer to Mike’s Hard Lemonade, Boston Beer Company‘s Twisted Tea brand and the growing hard cider market. While the MillerCoors spot doesn’t target its rivals at A-B, the mere fact that it’s airing is a big score in a year that saw Coors Light dethrone Budweiser’s “King Of Beers” as the nation’s No. 2 beer brand. Anheuser-Busch has long considered the Super Bowl strictly Budweiser territory and has poured $239 million into Super Bowl ads in the last decade, according to Kantar Media. While MillerCoors isn’t divulging what it is spending on regional Super Bowl ads, that nearly $67 million spent by Coca-Cola should give it an idea of just how hard it can be to dislodge a competitor from the big game. MillerCoors is pitching a niche product in spaces small enough to escape A-B’s notice. If its regional ads for Redd’s Apple Ale are successful, though, expect more opponents to exploit that weakness in Anheuser-Busch’s defense and direct fans’ attention to other, closer breweries. In its continued marketing dominance to squeeze out the small brewer, Anheuser-Busch has picked up 6 spots for this year’s Super Bowl for a total of 4 and a half minutes. The Super Bowl 2013 is in 3 weeks and advertisers are getting are busy promoting their expensive Super Bowl ads. Anheuser-Busch announced their Beer Super Bowl 2013 Ad line-up. Again Anheuser-Busch will be again one of the biggest or even the biggest advertiser during the Super Bowl 2013. The brewer bought 4 and a half minutes of Super Bowl advertising this year. Super Bowl brand icons Bud Light and Budweiser will share the spotlight in this year’s game with Anheuser-Busch’s two newest brands, Budweiser Black Crown and Beck’s Sapphire, both of which will be making their national television debut. Bud Light, the official beer sponsor of the NFL, will premiere two 60-second ads, “Journey” and “Lucky Chair.” The ads are the culmination of the brand’s successful “Superstitious” campaign, which portrays the traditions and rituals NFL fans employ to help their teams win. Both ads are set in New Orleans, tying the creative closely to the Super Bowl. The creative agency for these spots is Translation. The iconic Budweiser Clydesdales will also appear in a new 60-second spot, “Brotherhood,” which chronicles the bond a Clydesdale foal shares with his trainer. Partially shot at Warm Springs Ranch, a 300-plus acre farm near Boonville, Mo., home to many of the Clydesdales, “Brotherhood” will take the Clydesdales advertising into new territory by providing a new level of access to their early years. Budweiser is brewing new beers across the US in its newest endeavor called “Project Twelve”. Budweiser stated that it would be releasing the first three of these twelve beers next month. The beers are named for the zip codes in which they were brewed, you know, like a mass murder who gets a number when he goes to jail. The first batch of beers are named for zip codes in Los Angeles, CA, St. Louis, MO, and Williamsburg, VA. The project started earlier this year when Budweiser asked for 12 recipes from its various brewmasters . The test recipes went through a testing process including letting the public give their own feedback at beer festivals. From those available three were chosen to be used in 12 bottle sampler packs. The samplers will be available starting October 29th. So this to me seems like another attempt to get into the craft beer market. I can find no mention of the style of beer being used, but my guess is these recipes, if they do well, will eventually become part of the flagship line. Here’s hoping the American public sticks with locally owned and operated breweries instead of going with this mass produced beer. 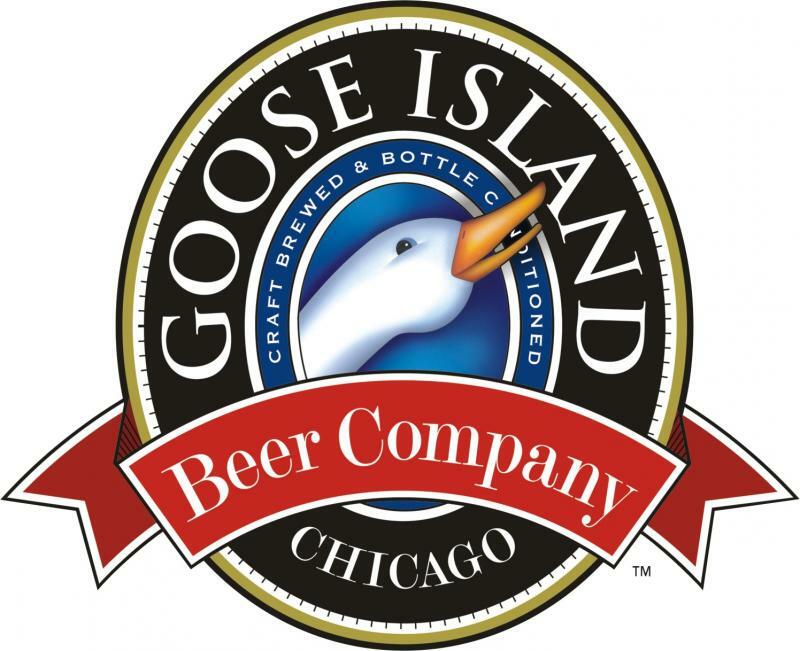 Last year Anheuser Busch (InBev) bought Goose Island, a Chicago based craft brewery. Using typical big beer methods, it was easier to buy an existing product with an established, dedicated following than it would be to develop something in-house (i.e. Bud Platinum). AB paid $38.8 million dollars for the deal. Now, it an effort to further dominate as many markets as they can, AB will start distributing the Goose Island beers to all 50 states. Back in 2000 Goose Island could only be found in the Chicago area. Goose Island will be available in all 50 states by the end of November, placing it alongside Sam Adams and Sierra Nevada as craft brands with national footprints — even if Goose will produce significantly less beer than those larger breweries, at least for now. The move will continue remarkable growth for what began as a small brewpub in its current Clybourn Avenue location in 1988, and has arguably become the beer most synonymous with Chicago. But a national reach also seemed inevitable once brewery founder John Hall sold the company to AB at a time when craft beer sales were soaring and macro breweries were struggling to enter the marketplace. Goose’s Chicago brewery on Fulton Street will continue to be the sole source of the company’s higher-end brands, like Bourbon County Brand Stout, Sofie and Matilda. There are no plans to export production of such beers to AB facilities, Goose Island said. I’m not surprised about that last sentence. Why would AB brew more of one brand of craft beer when they could just buy a completely different craft beer to help push the small guy out of the market. Goose Island may have once been a beer only available in Chicago, but now that they have joined the ranks of big beer, they’re also big beer, no matter how small they stay. 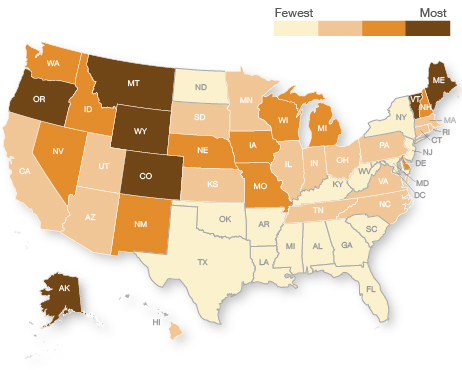 A map of the states with the most breweries per capita. In non-beer markets there are issues where the vast majority of the companies making a product are only producing a fraction of the actual product in the market place when compared to one or two major stake holders. This issue, however, is most pronounced with beer. It seems that while making up 95% of the market place, craft breweries only produce 6% of the beer. Three multinational corporations own most of the 20 gigantic, highly industrialized breweries that produce the vast majority of American beer. It’s been a great Wall Street bonanza, but the results are sobering. The largest brewer in the US, Anheuser-Busch, belongs to Brazilian multinational InBev, the largest brewer in the world. American number two, Miller, is part of SABMiller, headquartered in London, the second largest brewer in the world. Coors was acquired by Canadian brewer Molson, now the Molson Coors Brewing Company, fifth largest in the world. As if that weren’t enough deal-making, SABMiller and Molson Coors Brewing Company formed the joint venture MillerCoors. However, Pabst Brewing Company is still independent. But craft beer brewers operate in their own micro climate. In 2011, production jumped 13% to 11,468,152 barrels, for a 5.7% share of the US beer market in volume, according to the Brewers Association. With craft beers being more expensive, retail sales jumped 14.5% to a record $8.7 billion—for a 9.1% share of the $95.5 billion US beer market. Even with this relativity small market share, big beer is not happy. They continue to exert their force in the market place pushing their nationally distributed craft beer brands into every corner of the market, forcing out locally brewed beers. Big beer knows that nationally produced and distributed beer representing the largest market share can easily be replaced by brewing your own beer or going down to your local brew pub for a beer that was brewed locally. It is for this reason that they market their product so aggressively. That being said, you can make a difference. Producing your own beer or buying local beer helps keeps money and jobs in a local economy. So next time you’re out buying your beer remember, think globally, but act locally. InBev is at it again. This time they are looking to buy Modelo. The deal, which would include Corona, would be worth an estimated 15 billion dollars. InBev already owns a 50.4% stake in Modelo. Mexico is the world’s sixth biggest beer market and the fourth most profitable and is a virtual duopoly between Modelo and Heineken. Analysts say it would be a good strategic deal for AB InBev. Modelo has a 50-percent-plus market share of the Mexican beer market, but a relatively low profit margin of around 26 percent which AB InBev would look to push towards the margin of 60-65 percent it earns in Brazil. The move would increase AB InBev’s focus on North and Latin America which already accounts for over 90 percent of profits with its half share of the U.S. market and 70 percent of Brazil. So it looks like InBev wants to just buy portfolios instead of developing new beers. Yet another sign of a failing corporate business process. Why be innovative in the market place when you can just buy an existing customer base. Looks like InBev is ready to play dirty to get its sales numbers up. In a recent WSJ post Luiz Edmond, the president of North American operations for Anheuser-Busch InBev, let it be known the he was ready to strong arm out the competition. Last November, Anheuser also told more than 500 wholesalers who distribute its products across the U.S. that it wants them to sell fewer rival brews. The company warned that wholesalers who aren’t tightly “aligned” with Anheuser might be prevented from acquiring other wholesalers through equity agreements, a type of business contract, that Anheuser holds with the wholesalers. The toughening rhetoric has made a growing number of wholesalers “anxious,” said Joe Thompson, president of Independent Beverage Group, a beer-industry consultancy. Brewers and distillers are required to distribute alcohol through intermediaries instead of selling them directly to retailers. Mr. Edmond isn’t making any apologies, saying wholesalers will have to decide which brewer they want to partner with most closely. “I’m loyal to my wholesalers. Why would I not expect the same loyalty to me,” he said. This year, Anheuser plans to launch 19 new products in the U.S., its biggest such push since Belgium’s InBev acquired St. Louis-based Anheuser-Busch for$52 billion in 2008. New offerings include small-batch “craft” brews, cider and an expanded lineup of malt beverages that take their cues from tequila and tea instead of beer. Looks like they are finally reading the writing on the wall about the American consumer wants to drink, to bad their going to do their best to not the let consumer know they are drinking a mass produced product that could very well be taking away money from local, family owned breweries. They’re just not getting that people don’t want to buy their products. I for one am going to stick with the independent beers, how about you?